Nevada Nordic wants to partner with IVGID and the U.S. Forest Service to bring a full-fledged cross-country ski lodge and trails to the Incline Lake area near the Mt. Rose Summit. 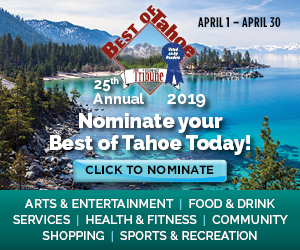 This article is adapted from the winter 2017-18 edition of Tahoe Magazine, a joint publication of the Tahoe Daily Tribune, Lake Tahoe Action, Sierra Sun and North Lake Tahoe Bonanza. The magazine, which contains loads of features, event listings and advertisements about all that the Tahoe winter has to offer, is on newsstands now across Lake Tahoe, Truckee and Reno. Be sure to pick up a copy today or read online here. There were once two successful groomed cross-country ski areas on the Nevada side of Lake Tahoe: Spooner Lake Cross Country, which provided close to 100 kilometers of trail in the beautiful mountain biking heaven between Spooner Lake and Marlette Lake; and Diamond Peak Cross Country, which was the place to go when there was not enough snow at lower elevations, as it was located near the top of the Mt. Rose Highway at 8,500 feet in elevation. 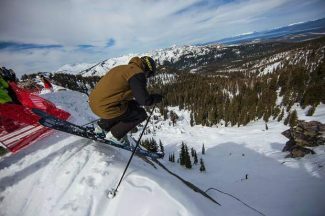 Now, both ski areas are gone due to various economic and logistic reasons, and for North Tahoe/Incline Village and Carson City residents, the closest place to cross-country ski is Tahoe Cross Country Ski Area near Tahoe City. Nevada Nordic, a nonprofit organization formerly known as Incline Meadows XC, wants to change that and bring a legit groomed cross-country skiing experience back to Nevada. Nevada Nordic’s ultimate goal is to build a high-quality Nordic skiing venue at the top of the Mt. Rose Highway, located a few miles north of Incline Village and south of Reno. A lodge would be constructed at 8,500 foot elevation, and over 50 kilometers of trail would be groomed. Producing such a ski area from scratch will take time, money and public support, as well as a lot of cooperation from the U.S. Forest Service and the Incline Village General Improvement District. 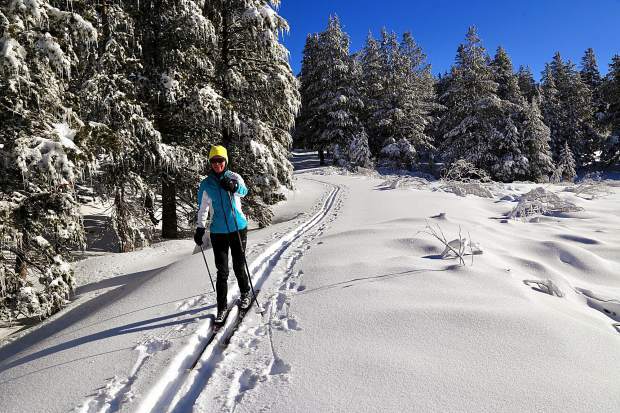 Until the nonprofit’s dream comes true, Nevada Nordic has dipped its toes into Nordic skiing by providing limited grooming at Spooner Lake State Park and the Incline Village Golf Course(s). In 2016, Nevada Nordic hired a contractor to run a large grooming machine after big storms at Spooner Lake State Park (located a few miles east of Incline Village and west of Carson City). Between storms, volunteers regularly freshened up the trails via a snowmobile groomer. Fortunately, it was a big winter, since Spooner is an area that gets marginal snow. Unfortunately, they were limited in the grooming to about 10 kilometers of trail, because the grooming machine was too wide to make it up Snow Valley Road, which is where the most interesting and challenging terrain is located. Some of the trails also had to be shared with walkers and snowshoers, so the quality of the skiing experience was hit and miss depending on how soon you set out for a ski after the grooming machine has passed. There was, however, no charge to ski, just a parking fee to enter the park, and take it from me — the setting is gorgeous. I skied one day right after the trails were groomed, and it was a joy to once again ski around Spooner Lake and across the meadows to the west of the lake. Nevada Nordic also experimented last year with pulling a grooming device known as a Ginzu behind a snowmobile to groom trails on the par-72 Incline Village Championship Golf Course. Dave Straley, a board member of Nevada Nordic, says that on normal years, the championship golf course doesn’t have enough snow to groom. For the 2017-18 winter season, the plan is to groom 2.5 kilometers of trail on Incline’s par-58 Mountain Golf Course, which sits at a higher elevation. The Nevada Nordic Board of Directors’ primary focus this year is to purchase its own grooming equipment. The dream of a permanent cross country ski area off the Mt. Rose Highway is centered on a five-acre parcel owned by IVGID, located on the north side of the highway near the edge of Tahoe Meadows on what’s known as the Incline Lake property. The nonprofit’s goal is to develop a cooperative arrangement to allow either Nevada Nordic, IVGID or a third party to build and run an XC lodge on the land. IVGID owns Diamond Peak Ski Area, Straley said, so there is the potential to combine the Nordic facility with the downhill resort as it was in the past. The next step is to get approval from the Forest Service to groom about 15 kilometers of trails in the Incline Lake area, which would fan out from the lodge, as well as the network of trails formerly operated across the highway by the then-Diamond Peak Cross Country — including a hoped-for tunnel underneath the highway to avoid road crossings. The Lake Tahoe Basin Management Unit of the Forest Service is currently preparing a Master Winter Use Transport Plan, and Straley says Nevada Nordic has been involved in that process and expects to have a concession for Nordic trails be a part of the completed document. 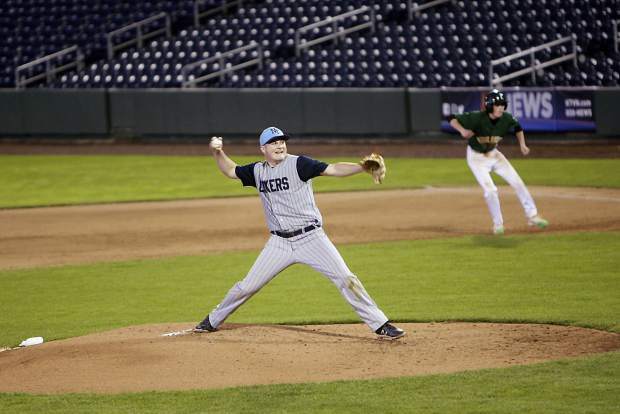 The draft was set to be published this fall, with public hearings and comment to be scheduled before likely another year of revisions and adjustments before final completion. Even after IVGID and Forest Service approval (should both happen down the road), the facility would still need the Tahoe Regional Planning Agency’s blessing, considering some of the land falls within the Lake Tahoe Basin. 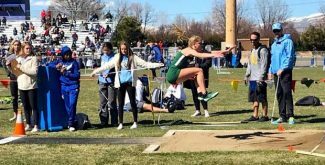 And even then, if all agreements are signed and Nevada Nordic is able to obtain all the necessary permits — the nonprofit would still need to come up with the funding to make it all happen. Nevada Nordic Board Member Peter Hanson added that the lodge would not only benefit cross-country skiers, but the entire community. The lodge restaurant would serve sledders, skiers, snowmobilers and the rest of the throngs of tourists that head to Tahoe Meadows in the winter, where there is currently no food services available. Once the snow melts, the facility could be used for a community meeting space as well as to serve the hikers and mountain bikers that frequent the area. So, while there are many challenges ahead to return a top-notch groomed cross-country ski experience to Nevada, a small group of folks is working hard at Nevada Nordic to recreate some of the happy days of skiing they remember from years past at Diamond Peak and Spooner Lake Cross Country.